A street sweeper. Just the thing for cleaning up around your yard. Owning my Royal Enfield Bullet motorcycle introduced me to certain mechanical complications, many of which I've written about on this blog. I'm pleased to have mastered adjusting the valves. I'm thrilled to have discovered the swing-up rear fender that makes tire changing a cinch. I was so pumped I made a video demonstrating it. I'm proud of my four-step program to improve the left-hand shifting on the four-speed Royal Enfield Bullet. But when it comes to handling a wrench, I'm nothing compared to my brother Phil. Family lore is that, as kids, I would put my new toy on the shelf to keep it safe. Phil would immediately disassemble his new toy. Maybe he watched as Dad put it back together for him. 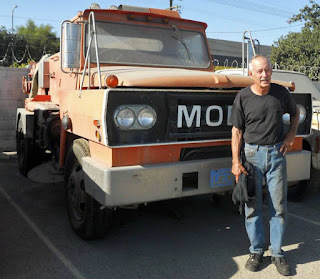 Nothing on Earth has the mechanical complexity of a street sweeper. Phil learned to conquer mechanical objects. I've seen him take apart a car motor and put it back together. He actually seemed to enjoy it. So I know it pains him that the building materials company he works for has decided to sell its two creaking old street sweepers. 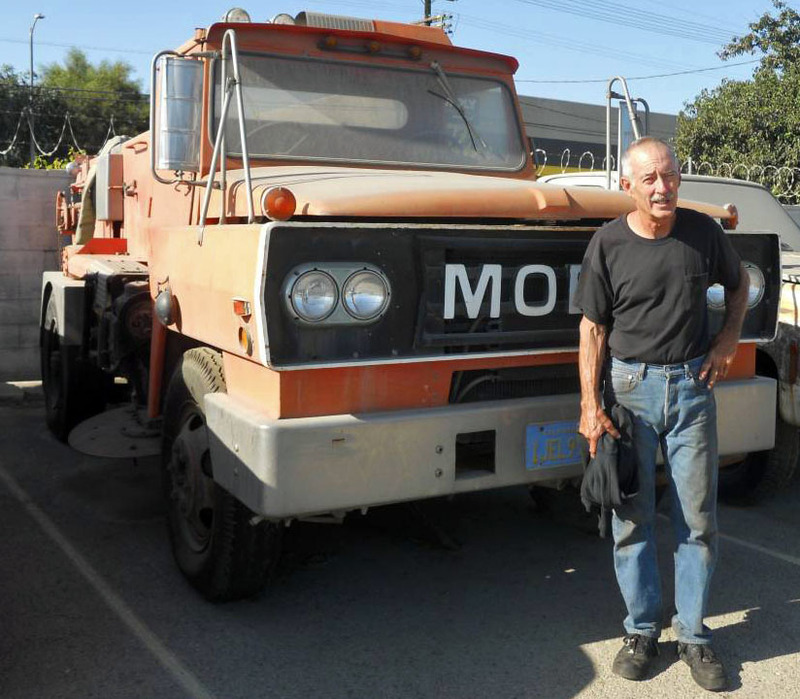 "Nothing on Earth has the cool mechanical complexity of a street sweeper!" Phil wrote in the CraigsList ad for the street sweepers. Phil has a pair of street sweepers to sell you. 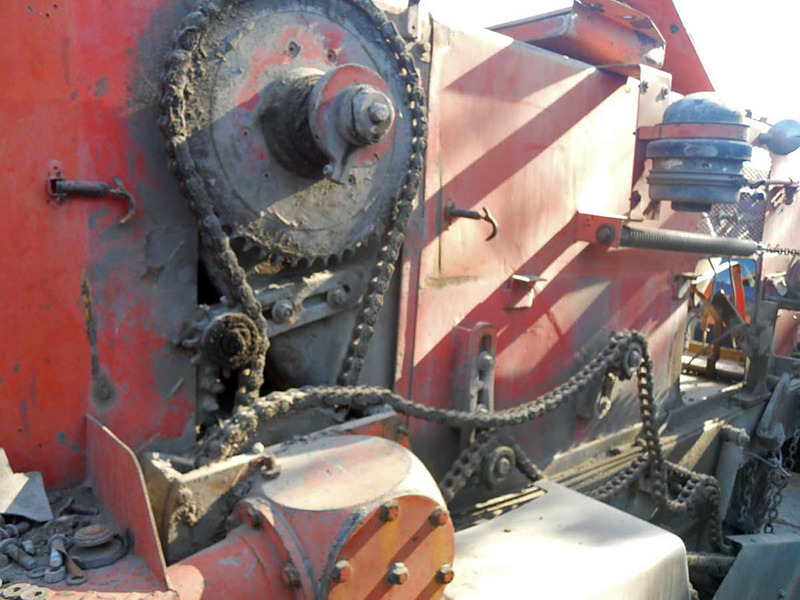 "Two engines, a MILE of chains, 20 sprockets, 100 gears, 30 universal joints, hydraulic valves, cylinders." Each sweeper has "two of everything," he wrote. Each sweeper has "two of everything." They also have two-speed rear ends to augment their automatic transmissions. You'll need lots of gears to haul around the 500 gallons of water the sweepers hold. The things can be driven on the street (obviously) and they are in running condition, Phil wrote. Only $2,750 for the pair, and they come with lots of spare parts. They were built in sunny Southern California and have spent their lives in Los Angeles, so they are rust free. Phil is obviously proud of the sweepers. So much so that he urged me to buy them. They're really more his thing than mine.